Officials have been praising a budding chef from Pool Academy who took part in the Cornwall finals of a cooking competition. Max Wilton, Year 10, took part in the Springboard’s FutureChef’s Chef of the Year 2018 competition recently. During the Cornwall finals he was given just an hour and a half to create his course menu of scallops and a strawberry cheesecake tower at Rick Stein’s Cookery School. Max came second and still has a chance to go to the next round if the first place student pulls out. Officials from the competition have praised Max’s cooking abilities. Gemma Edmonds, Head of South West for The Springboard Charity & Springboard UK Ltd, said: “Max has a huge enthusiasm for food and it came across in the dishes he created at both the Local and the Cornwall Final. 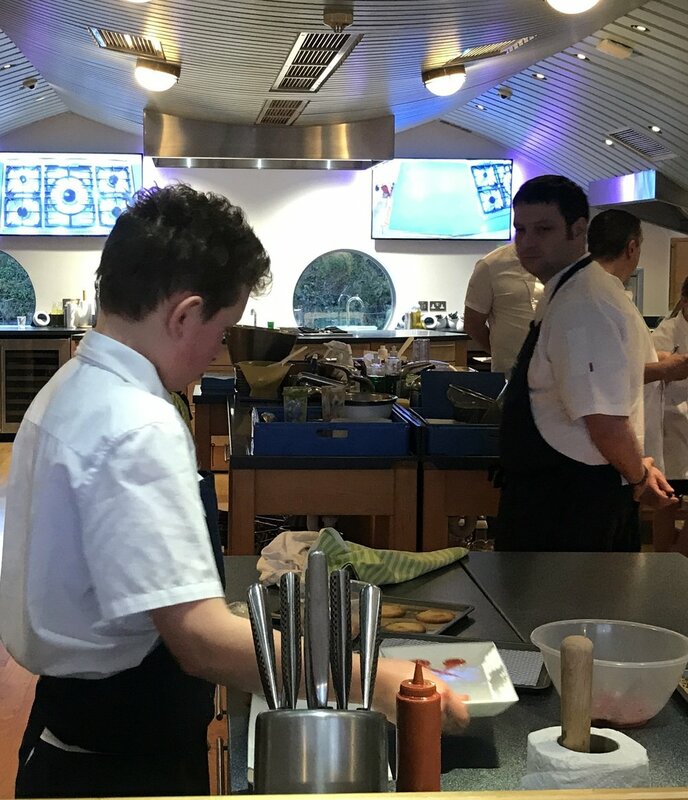 “I was delighted to see the progress he had made and how he had developed his dishes for the Cornwall final at Rick Steins under the mentoring of Head Chef Paul from the Mullion Cove Hotel. Paul Stephens, Head Chef at Mullion Cove, was a judge at the local finals and was so impressed with Max’s efforts he offered to mentor him before the Cornwall Finals. Max jumped at the chance and spent two Sundays learning tips from Mr Stephens, who has previously worked at The Ritz and The Fat Duck in Bray. Mr Stephens said: “Max impressed me with his enthusiasm and ability to learn and pick up what I was teaching him. “If he carries on the way he is, and if he continues in a career in catering, I can see big things for his future. Max said that it had really helped him to have a mentor and taking part in the competition was a great experience. He said: “I would definitely recommend others to take part in the competition next year.